Audet & Partners, LLP is investigating CVS prescription lawsuit claims on behalf of individuals who have purchased prescription medication from pharmacies at either Walgreens or CVS. Information has recently surfaced suggesting that both Walgreens and CVS pharmacies have participated in a fraudulent scheme with pharmacy intermediaries that has resulted in: (1) consumers paying more for medication when using their insurance as opposed to paying cash; and (2) an illegal “clawback” of inflated co-pays which has acted as an improper revenue stream for the pharmacy intermediaries. 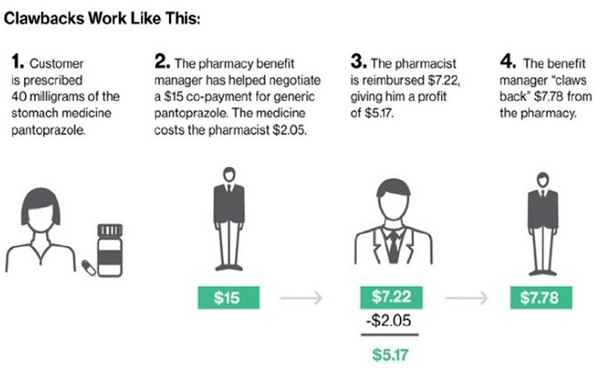 This “clawback” scheme appears to involve third-party intermediaries called Pharmacy Benefit Managers, or “PBMs.” It is suspected that Walgreens and CVS may have entered into contractual arrangements with PBMs pursuant to which the retailers have charged customers more for their copays than generic drugs actually cost, and then pocketed the difference. If you have recently purchased prescription medication from either Walgreens or CVS and have used your insurance to pay for your medications, you are urged to contact Audet & Partners, LLP for a free, confidential case evaluation to determine whether you may have a class action claim in a CVS prescription lawsuit. You can reach us either by completing and submitting the form on the right side of this page, or by giving us a call at (800) 965-1461.